A public inquiry has begun into proposals to extend the boundaries of the Yorkshire Dales and Lake District national parks. Natural England has agreed plans to extend both areas to encompass an additional 162 sq miles (420 sq km). The proposed expansion would see areas including Mallerstang and Barbon brought into the Yorkshire Dales and Borrowdale added to the Lake District. The public inquiry was required after five local authorities objected. Helen Wilson, the inquiry manager, said about 40 members of the public were attending the first day of the inquiry, which is expected to continue until 14 June. Following its conclusion, an inspector will make a recommendation to the secretary of state for the Department for Environment, Food and Agricultural Affairs, who will then make the final decision. 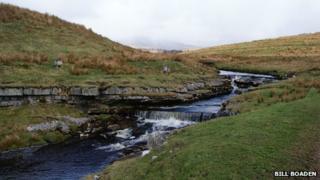 Natural England agreed "variation orders" in 2011 to expand the Yorkshire Dales to the north and west and the Lake District to the east and south. However, by law a public inquiry must be held if at least one local authority objects. Cumbria, Lancashire and North Yorkshire County Councils and Eden and Richmondshire District Councils have all raised objections. The proposed extensions would see the two national parks meet along part of the M6, near to junction 38 at Tebay. The plans have been backed by the Campaign to Protect Rural England (CPRE) and the Campaign for National Parks. Andrew Motion, president of the CPRE, said the expansion would provide a chance to "right an historic omission". He said: "I hope, as I know thousands of others also hope, that the inquiry starting now will recommend the four extensions of these two priceless, breath-taking places, and that the Government will endorse that recommendation if it comes." A Natural England spokesperson said: "This is a significant decision and it is important that it is fully and carefully considered." The inquiry will be held at the Castle Green Hotel, in Kendal.